We’ve heard the opinions, we’ve read the comments online about how “TV and camping don’t mix” and “TV ruins the camping experience” and quite frankly, we don’t blame our fellow TV bingers for keeping their guilty pleasure on the down low. But enough is enough. We’re here, Summer is near, and we’re won’t live in silence anymore.. We love experiencing the outdoors to the fullest while also catching up on American Idol when we snuggle into bed. There. We said it. So how about you? Does bringing your favorite shows with you while you’re on the road sound like something you might also enjoy? If so, you’re one of us. Welcome to the club! 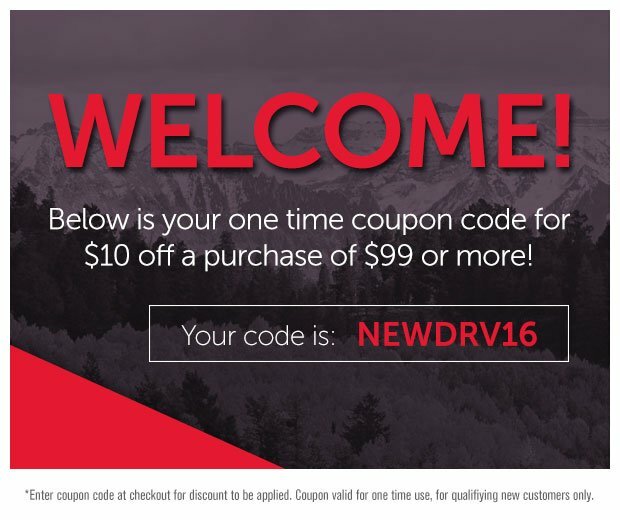 Whether you have 1 tv or 2 we have the perfect bundle for you! 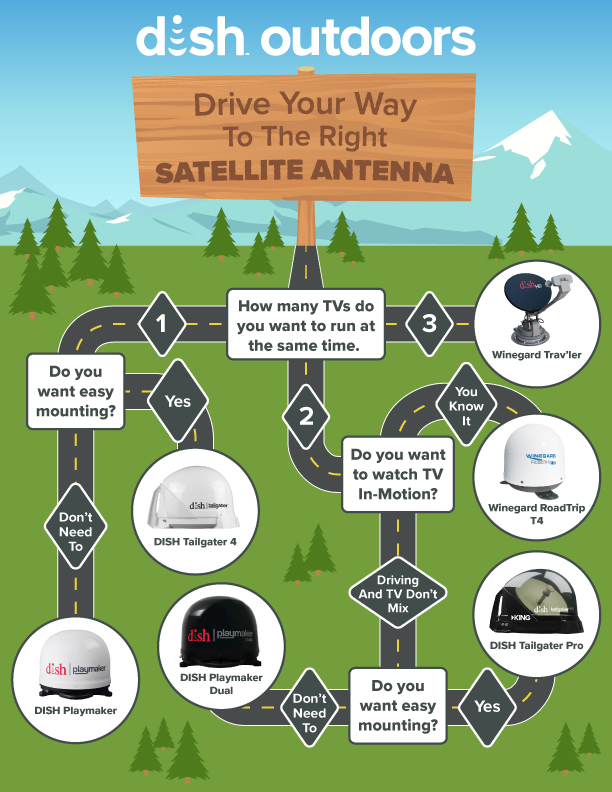 Take a look at our little road map or take our Antenna Quiz to see which one might be the best fit! Did you find one? Great! 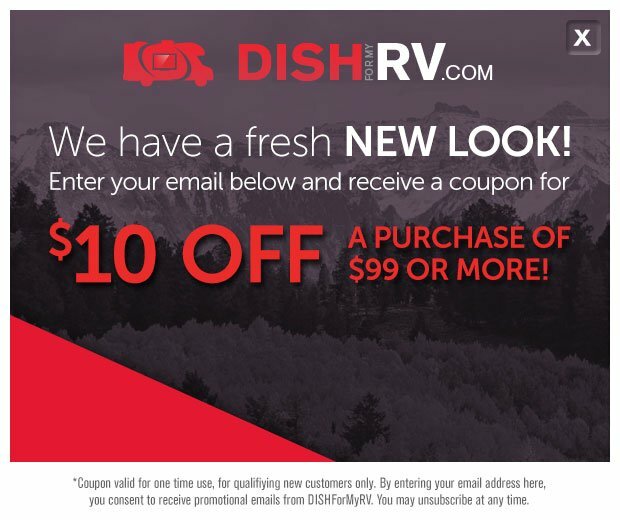 You can find it here and if you like to live life on the edge and want to take this experience to the next level, check out all of our DISH® Wally receiver accessories. When you’re all finished up and feel like you just want to shout your excitement, we double-dog dare you to share this blog on your Facebook page. We'll be you have some friends that are a part of this group that you never would have guessed.